The Commercial Real Estate Leader in South Florida. WestVest Associates is a South Florida real estate firm located in Doral Florida with over 25 years experience. Westvest Associates specializes in industrial, office, land, retail, and investment properties not only from the user’s standpoint but from the investor’s side as well, with unique opportunities to help our customers achieve their goals. Tony DeRosa founded WestVest Associates in 1993. His leadership and keen eye for business quickly positioned him as an expert and business aggregator in Miami-Dade and Broward counties. 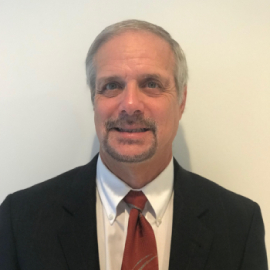 Having a deep understanding of the market needs, his scope of business includes full service commercial real estate, project management, consulting, and acquisition of value add industrial and retail properties throughout the state of Florida as well as property management. Throughout the years, Tony has sustained himself and WestVest Associates as a market leader focusing on servicing the niche of the growing smaller to medium-sized international businesses. He has formed several companies and partnerships and has invested in tenant warehouse complexes, retail centers, residential land, and management of flex properties. Oscar Fonseca comes to WestVest Associates from Miami, Florida. He began his career while still attending The University of Miami. 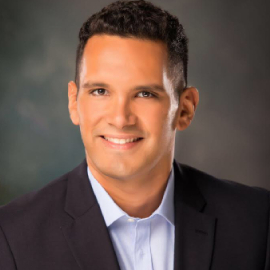 Soon after graduating honors with a concentration in International Finance and Marketing, Oscar quickly positioned himself as one of the top industrial sales associates in Doral, Florida. He strives to provide exceptional service in the leasing, purchasing and selling of commercial property. Oscar’s passion for commercial real estate is not only noted in his transaction volume, but also in the buildings he owns and operates. He has appeared in the Miami Review multiple times for “Deal of the Week” and “Deal of the Month” and continues to expand his commercial real estate portfolio. Rick Susman has been a fixture in and around Miami International commercial spaces for over 20 years. His father was among the earliest developers in the west airport area in the mid-1960’s, and together with his father, the Susman’s continue to own and operate commercial property in the airport area. Growing up, he watched his father build, own and operate warehouses; he later joined in him in this endeavor which has given Rick his knowledge of the industrial market. Rick was born and raised in Miami, only leaving for four years to attend college at the University of Texas in Austin. He knows Miami as only a native could. Rick offers a unique perspective of seeing many investors move in and out of the commercial landscape, all while maintaining the Susman’s own successful and profitable presence. He can put his root knowledge of the Miami area and his passion for commercial real estate to work for you. Rick is a fixture at Miami Dolphin games, his family have been season ticket holders since 1966. You can also find him at home games for the University of Miami football and baseball teams as a season ticket holder and supporter. Look for him at the Florida Panthers or Miami Marlins games as well. Supporting the home team, and supporting your team. Call Rick for your commercial real estate needs. Erika is a member of the National Association of Realtors, the Miami Association of Realtors and the Realtors Commercial Alliance (RCA). 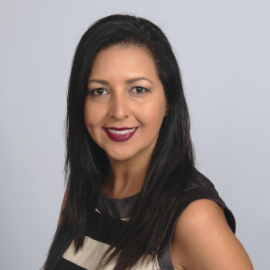 She has been practicing Commercial Real Estate in Doral, FL for almost a decade, specializing in Industrial, retail, warehousing, mixed-use condos, shopping centers, land parcels, hotels, and investment properties. Over the years, Erika has become an integral part of the commercial sector in Doral, Florida. Through her extensive knowledge of industrial properties, Erika has also become the top tenant representative in all of South Florida. West Vest Associates, Inc. is one of the leaders and innovators of the most vibrant Industrial/Commercial real estate markets in the US. South Florida is the recognized cargo gateway of the Americas, with the number one airport for international freight, the second most important seaport on the east coast and the Miami River. 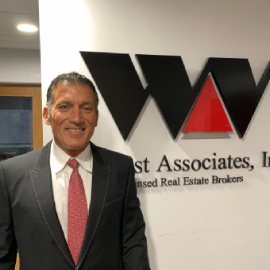 For over 23 years West Vest Associates, Inc. has been dealing on a daily basis with the trade and cargo business that choose Miami-Dade and Broward counties for their industrial and commercial real estate needs. If you are looking for property to diversify your investments we have an impressive record of identifying the best properties in South Florida. We are proud to put our market knowledge, our local relationships and our team of experts at your service. West Vest Associates, Inc. specializes and has expert knowledge in Industrial, Office, Retail, Land Development, Property management and Commercial Financing.